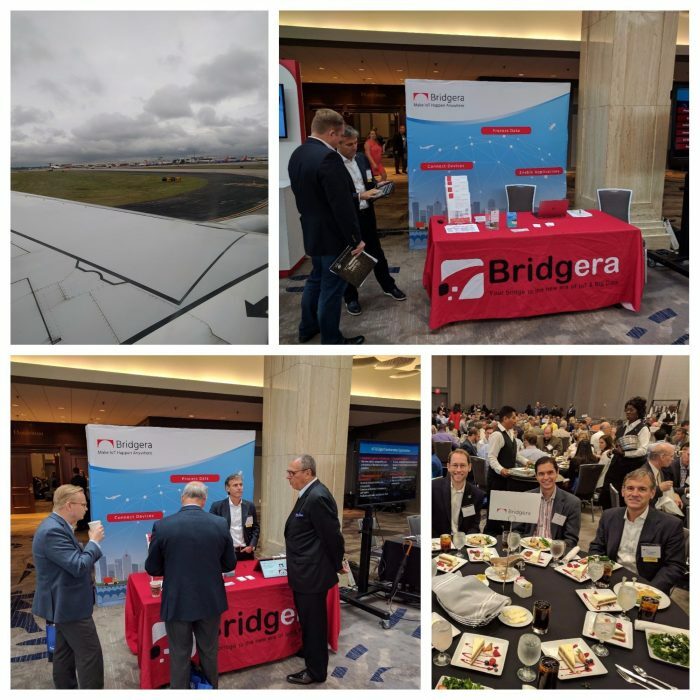 Ron Pascuzzi and Joseph Goad had the opportunity to showcase Bridgera IoT to the Technology Association of Georgia (TAG) at their annual TAG IoT Symposium in Atlanta, GA. The day consisted of a broad range of presentations and panel discussions emphasizing the benefits of IoT and the broad impact that it will have on our society and workplace. These discussions carried over to the Bridgera exhibit booth where the Bridgera team discussed strategies for reducing risk and ensuring success when developing an enterprise grade IoT system, including ways to accelerate out of a proof of concept and into a production level deployment. Thank you to the TAG team for giving us the opportunity to attend this event. It was great meeting everyone and we hope to see you next year!